The latest royal wedding has sparked the imagination of many a bride to be, no matter what her nationality. 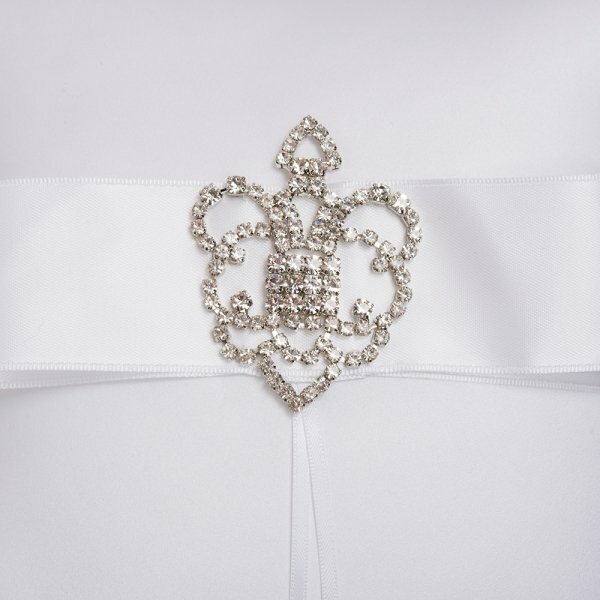 Royal themes and emblems are making appearances in weddings around the world. The fantasy of being a princess for a day is too tempting to resist. 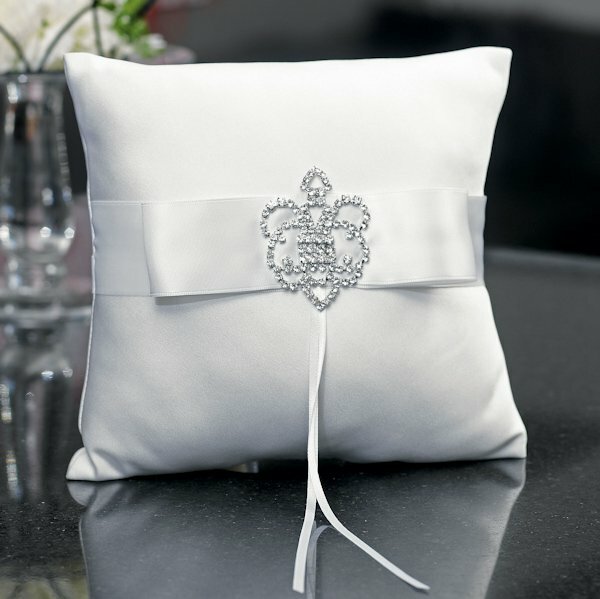 Beverly Clark offers The Crowned Jewel Collection Ring Pillow to add a regal touch to your special day. 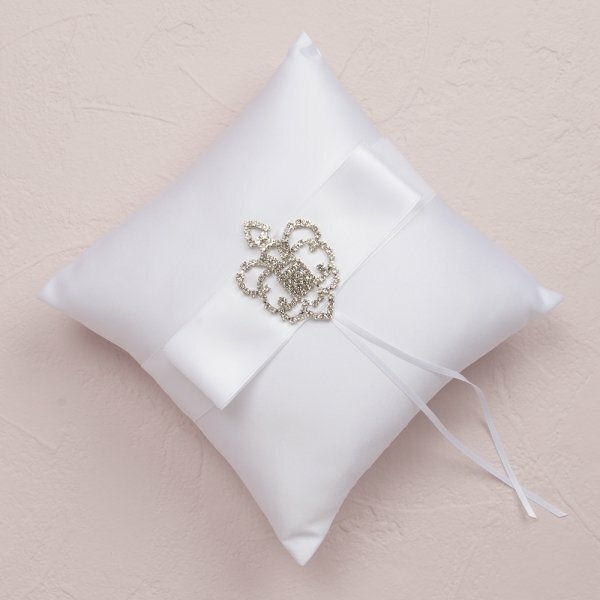 Available in three shades to coordinate with any wedding gown, this Ring Pillow features a chic satin ribbon bow adorned with a royally jeweled embellishment. 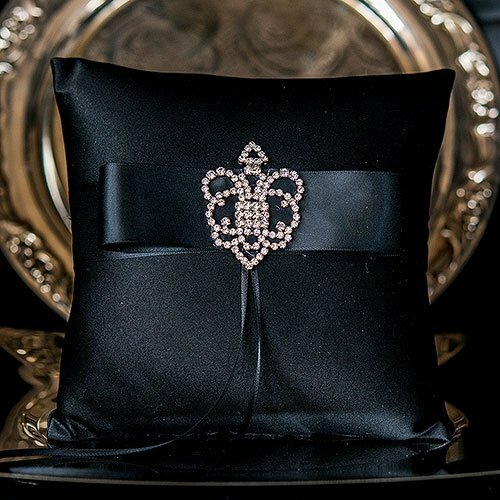 The embellishment is set with crystals to catch the light and sparkle as it travels down the aisle, holding the most precious symbols of your marriage. 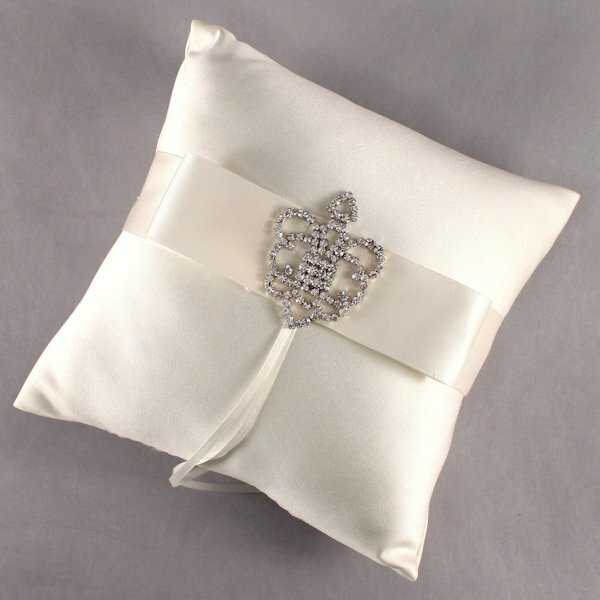 At 8" square, it's just the right size for a ring bearer's small hands to hold. 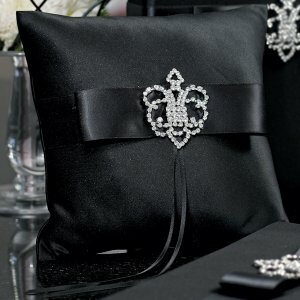 Choose from 3 colors (black, white or ivory).